View vCloudPoint Zero Client Deployment Planning in PDF file. For support on a typical deployment, please contact our support team. What about Windows licensing on sharing computing? To properly license vCloudPoint zero clients in a Microsoft environment, certain CALs are needed for each vCloudPoint seat, along with certain OSes running on the host computer. Regarding the host machine, you have the option of running supported edition of Server 2008R2, Server 2012, Server 2012R2, Multipoint Server 2011, or MultiPoint Server 2012. Windows 7, 8, 8.1 and 10 will work with the vCloudPoint Sharing Computing solution but at this time cannot be shared under Microsoft compliancy. In order for the vCloudPoint workstations to be fully licensed, they will each need a Remote Desktop Services Client Access License (RDS CAL) along with a Windows Server Client Access License (WS CAL). The total cost of these CALs combined will range anywhere from $10-$120 per seat depending on the type of organization deploying the workstations, and their licensing agreement with Microsoft. But these CALs are perpetual licenses – not annual subscriptions. How to use domain management like Windows Active Directory with vCloudPoint zero clients? * Your domain system should include at least one Domain Controller and one sharing host that has joined the domain system. * Install the vMatrix Server Manager on the sharing host(s). * Create users on the Domain Controller. * Log into the host with vCloudPoint zero clients. Hosts will automatically be recognized if they have joined the domain. 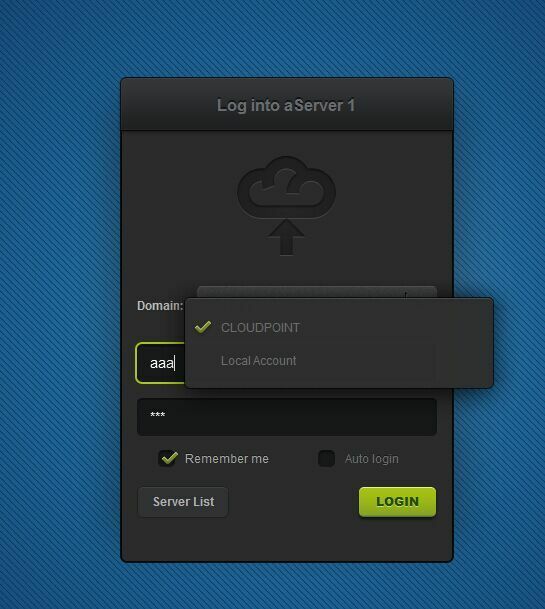 The picture below shows two login options: the first domain name “CLOUDPOINT” is chosen for domain login; the second one “Local Account” is for local account login. If users choose local account login, they are logging on the host rather than the domain. * Select a domain, and then enter your username and password. 1. You cannot log in an domain administrator account from a zero client. This will cause unavailability of the whole vMatrix and zero client system. 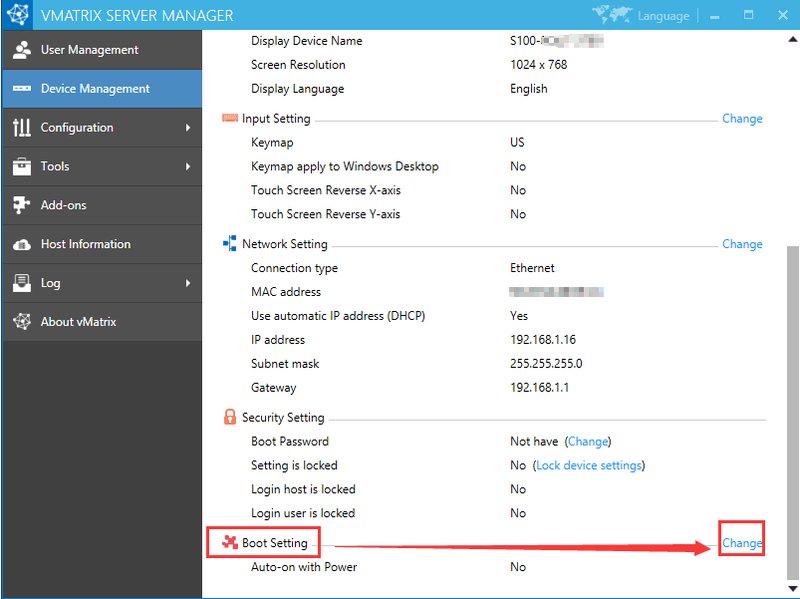 If you mistakenly do this, remove administrators from vMatirxServerRemoteUsers group on the shared hosts thought Computer Management –> Local users & groups –> groups–> vMatirxServerRemoteUsers group. Why all of my vCloudPoint zero clients get disconnected every a few minutes? By factory, the zero clients and the management software are configured to be used in an internet connected environment (WAN). If you are using them in a non-internet environment, please re-configure the zero clients and management software by simply following the guides at the Offline Usage menu on vMatrix Server Manager console, otherwise, sessions will time out (disconnected) during operation. 2. you use proxy or VPN or internet control software that the host cannot access our configuration server: api.cpterm.com. To reconfigure the zero clients and the management software for offline usage, you need to export the configuration profile, and send it to the dealer. Before exporting, please connect all client devices for offline usage to the host, so that the series numbers (SNs) will be collected in the file. Alternatively, instead of connecting the client devices (especially in large deployments), you can inform the SNs when sending the exported file. Note: Offline usage configuration on vMatrix Server Manager was introduced in the release of vMatirx Server Manager 2.0.2 version, if you are planning to use the vCloudPoint zero clients in a non-internent or unstable internet environment, please use 2.0.2 or later version of vMatrix Server Manager, and contact the dealer for generating an offline configuration file. Why the host is not listed in the client login screen? 3) There are two or more hosts with the same name. Only one host will show at the client login screen. Resolution: Change the host names. Why the clients cannot connect to the selected host? Why the USB and audio drives cannot be installed in Windows10, 8.1, 8 & 7 Operating Systems without internet connection? Why some software can't be run at the terminal or what software can be run? What software can or cannot be run at the terminal with vCloudPoint zero clients? 1. Most popular Windows software can be run with vCloudPoint zero clients such as Office Applications, Skype, Outlook, Chrome, Firefox, IE, Edge, Teamviewer, Adobe Photoshop, Adobe Illustrator, Adobe After Effects, Adobe Indesign, AutoDesk CAD, and Camtasia, etc. 2. 3D games are not supported. 3D design software like 3D Max can be run but rendering takes long time. 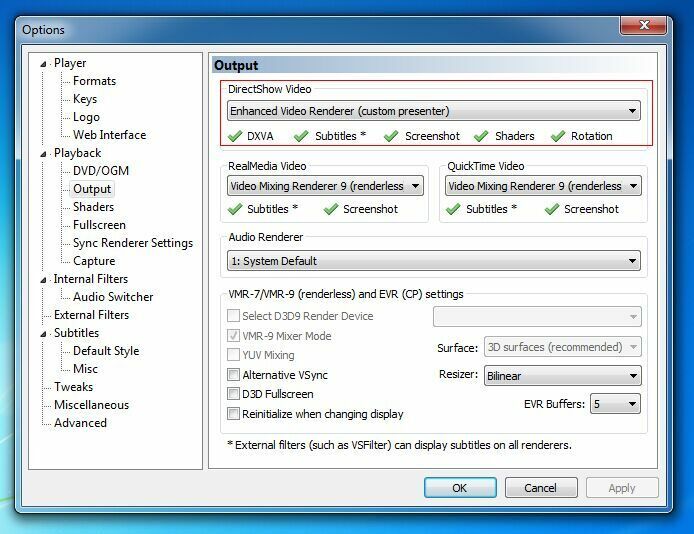 Other 3D software may not be supported as graphic card is not utilized by the zero clients on processing. The experience of desktop on the zero client is just like that of the host computer without a discrete graphic card. 3. A few software cannot work in the multi-user environment. 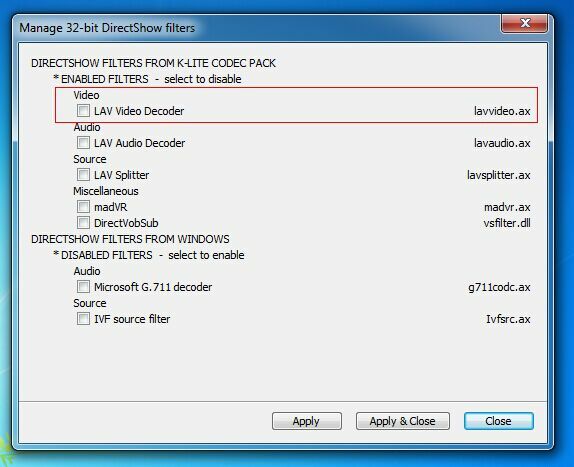 These Known applications include Microsoft Visual Studio, Adobe Premiere and Foxmail. To know if your desired software can be run in the multi-user environment without zero clients, you can try running the software in remote desktop sessions with PCs (run “mstsc”). 1. The disk partition where the applications are installed must be set to be visible to terminal users. To configure visible disk partitions, open vMatrix Server Manager, click Configuration, and then Storage Visibility, tick the partition where your applications are installed. 2. 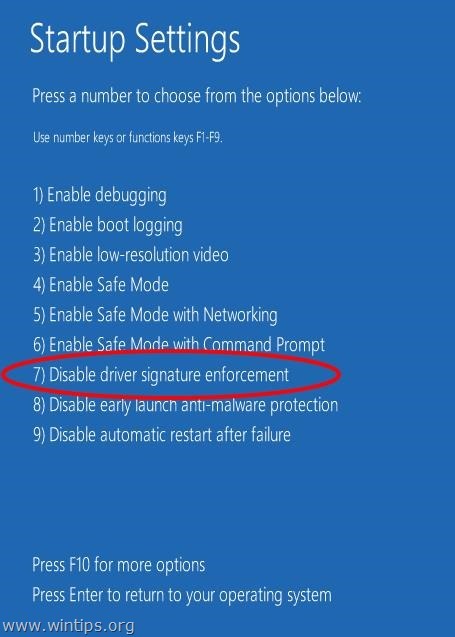 Try disabling Windows UAC. 3. 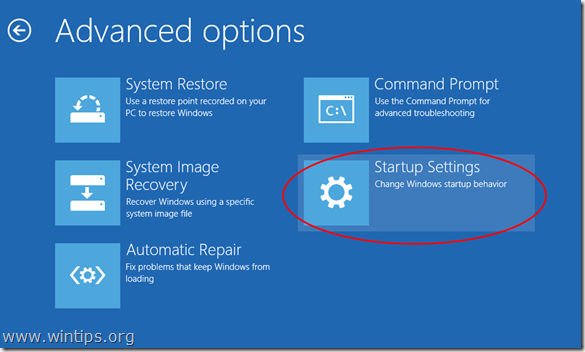 Change installation directory to non-user based. Default installation directory of some software like Kingsoft WPS are user based, like “C:\Users\Administrator”. When installing, you must change it to non-user based one, such as “C:\Program files\” otherwise other users are not able to run this software. Why can't I turn off the zero client right after it is powered on? It takes about two seconds for the device kernel to be ready to work and the reboot/power-off logic only takes effect after that. The power system of vCloudPoint zero clients like S100 is controlled by the kernel (the residing software). 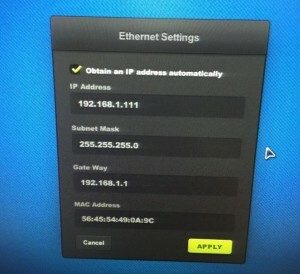 This allows users to power off the device through software interface (e.g. the login screen) without needing to press the switch button on the device, which is impossible with those hardware switch devices. This brings convenience when the devices are back mounted at the monitors. What remote ports should be added in the router for vCloudPoint device remote connection over WAN? The vMatrix Network Service uses both TCP and UDP ports. 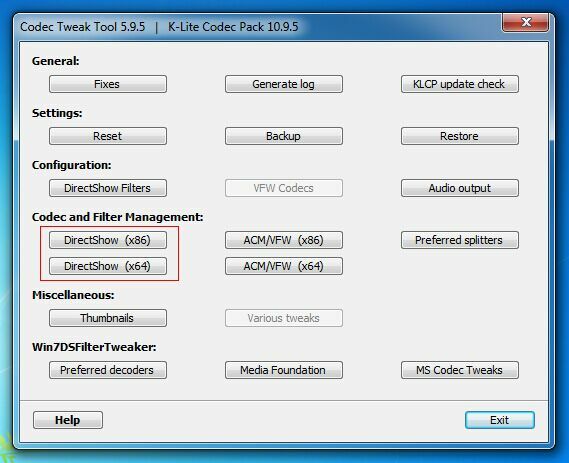 The broadcast port is fixed using UDP 13389, and the listen port begins with TCP 13389 and extends to at least 3 extra plus 3 for each user. For example, if there are 10 users need to connect remotely, you need to at least add ports of UDP 13389-13389, TCP 13389-13422 (13422 is the minimum and reserve more if possible). How to update the zero client firmware? It is always recommended to use the latest available version of firmware on your vCloudPoint zero client. Each installation of vMtrix Server includes the latest firmware, so no additional downloads are necessary to complete this process. When powered on, the zero client establishes connection with vMatrix software and asks for update if there is a new version available for update. How to clear or reset the vCloudPoint zero client configurations? 1. Resetting customized preferences — press F2 on device boot time. This is to wipe out customized preferences of terminal users only such as saved username, password, resolution, background image and network, etc. It cannot remove administartion settings like password protection on the setup menu. 2. Restoring factory defaults — long press the switch button until you see the resetting window. This is to reset the device to the factory settings with factory installed firmware. All settings will be recovered to the factory defaults. This is often used when terminal software turns faulty or after firmware upgrade, customers prefer using back the factory installed firmware. 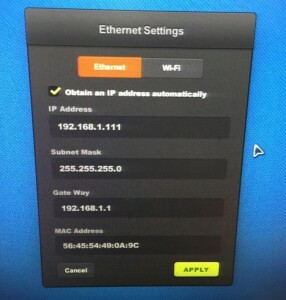 How to add WIFI option with external USB WIFI antenna? 2, Any antenna that is built with 8TL8188EUS chip and connects with USB 2.0 standard is supported by vCloudPoint zero clients. Given blow is the specification of the external USB antenna. vCloudpoint membutuhkan transfer data LAN sebesar 2.5Mbps, jadi untuk menghitung kebutuhan transfer data, tinggal dikalikan dengan jumlah unit vCloudpoint. Dalam setiap LAN CARD 10/100 mempunyai kapasitas transfer data max 100Mbps, jadi untuk kenyamanan pemakaian mesti dikurangi 40Mbps dalam setiap LAN CARD untuk aktifitas yang berhubungan di USB vcloudpoint. Maka maksimal penggunaan dalam tiap jaringan adalah 20 Unit vCloudpoint x 2.5Mbps = 50Mbps. 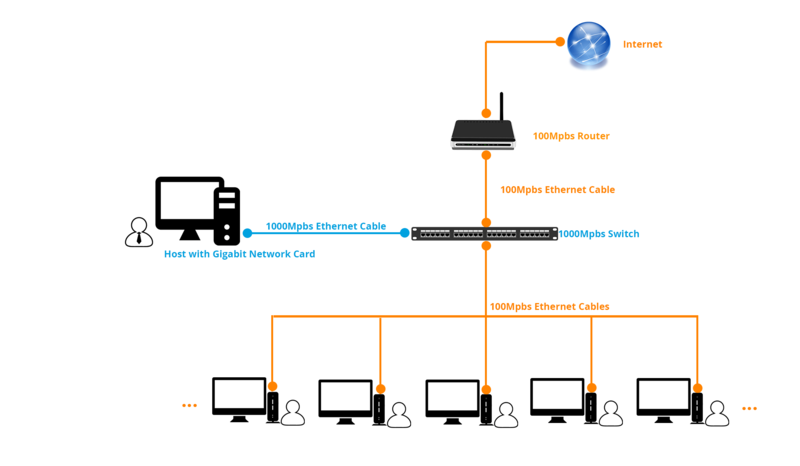 Jika dalam 1 HOST membutuhkan 40 unit vCloudpoint, maka harus ada 2 LAN CARD dalam PC-HOST tsb dengan switch hub yang terpisah. This can be even more useful when used with device management functions on vMatrix Server Manager. IT administrators or classroom teachers can have all user desktops under remote control. 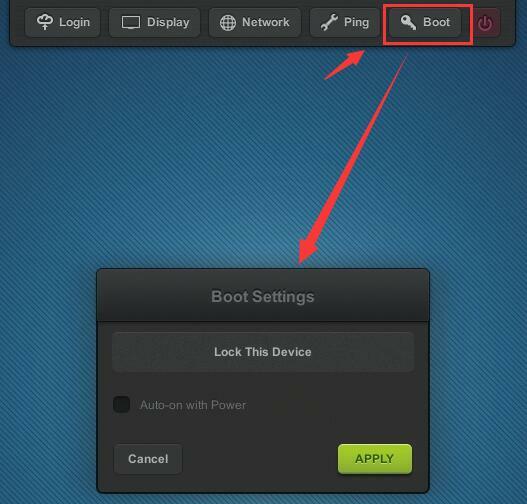 They can log selected devices in from the host or configure zero clients to auto log into the host, providing the end users a complete hands-free access to their desktops.This feature allows the zero clients to automatically power up from the off state when DC power is on. 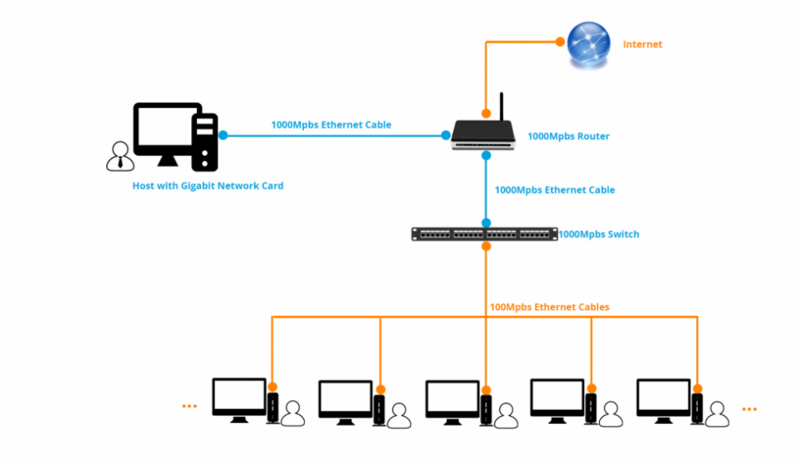 This allows use in public access areas such as libraries or in schools etc., where users might wish to power up all zero clients without having to reach out to each workstation. This feature is supported by new S100 zero clients with serial numbers beginning with A5, and shall be used with vMatrix Server Manager 2.1.0 or later versions and its corresponding firmware. It is unavailable with S100 zero clients with serial numbers beginning with A1, A2 or A3. To enable auto on power function on the supported zero clients, simply configure at the Boot option on the device interface or change the boot settings at Device Management on vMatrix Server Manager. Most customers mistakenly think that a zero client should be, like thin clients, configured high in its internal hardware such as, CPU, flash, network chipset, to gurantee a high performance. Unlike thin clients that typically use its own client hardware for processing, zero clients push all the computing power to what is running at the host side. In other words, the residing hardware of a zero client do not act on jobs of processing as in PCs or thin clients, but only to initialize a conversation with the network, begin network protocol processes, and display desktop output. Therefore, the configuration of a zero client itself does not contribute to its performance. Even a zero client with powerful configuration as a Pro PC can’t gurantee good performance. Of the above 3 aspects, only the display protocol is determined by the zero clients. The display protocol determines two critical measures: experience and resource usage. The sticking point for many organizations will be various levels of multimedia support. Regardless of implementation status, any organization can have issues with multimedia support. This is true not only in large implementations that push bandwidth limits — even smaller installations may consume enough bandwidth to push the limits of the display protocol without a bottleneck on the wire. vCloudPoint zero clients ultilized our innovative DDP (Dynamic Desktop Protocol) for remote desktop display. This protocol is purpose-built for zero clients and is designed to make efficient use of the network bandwidth and host resources, delivering a user experience that is equivalent to or even better than a business PC. What is a Category-5 / Category-6 cable?? Based on the award-winning classroom management solution, NetSupport School, NetSupport School CCE (Centralized Computing Edition) is optimised to work within the thin/zero client arena, delivering advanced desktop monitoring combined with a real-time presentation tool at an affordable cost; helping to leverage budget-conscious education opportunities. NetSupport School CCE enables schools, colleges and training institutions to implement the power of computing in schools more quickly and affordably than ever, and helps maximize the return on their investment by providing teachers with the ability to instruct, monitor and interact with their students either individually, or as an overall class. For a Teacher to be able to connect and communicate with each student, the NetSupport School CCE Student component must be installed on the host OS. 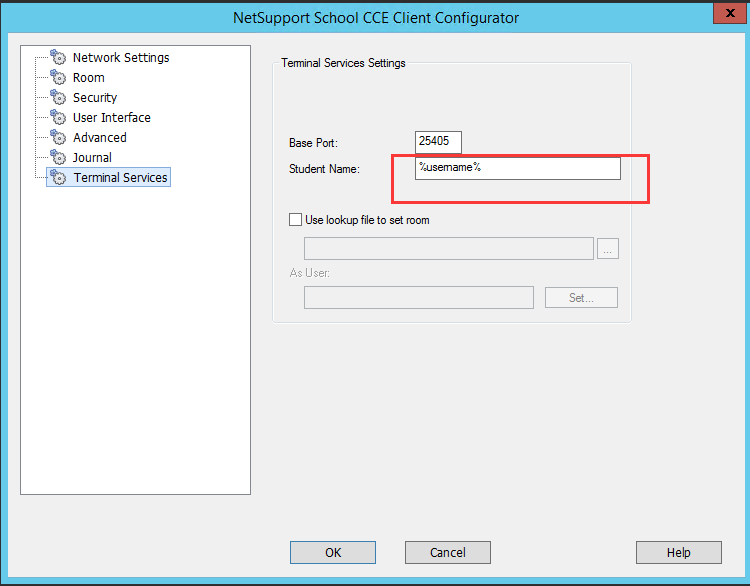 Note: The student (client) component of NetSupport School CCE is only supported on terminal servers running Microsoft Server operating systems such as Windows Server 2008R2, 2012R2, Multipoint Server 2012. Windows Client OSs such as Windows 7, 8, 10 are not supposed to be used as the shared host system. On each host that is running vMatrix Server Manager run the NetSupport School CCE installation program. 1. On the “Custom Setup” dialog choose the Student option. 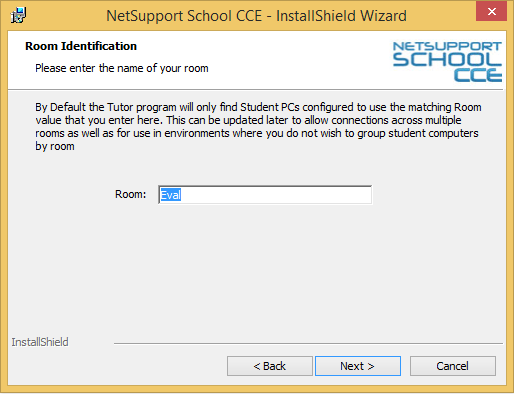 If you require the NetSupport School CCE Tutor to be installed in the host OS, you should also select the Tutor Console option. Alternatively, install the Tutor Console on the teacher’s computer. 2. On the Room Identification dialog enter the name of the Room that the vCloudPoint zero clients are located in, this information will be used to ensure that the teacher and students are connected to each other using NetSupport School CCE. From a machine with NetSupport School CCE installed please apply the below setting to the Student Configurator, otherwise only the first logged in user can be found. 1. 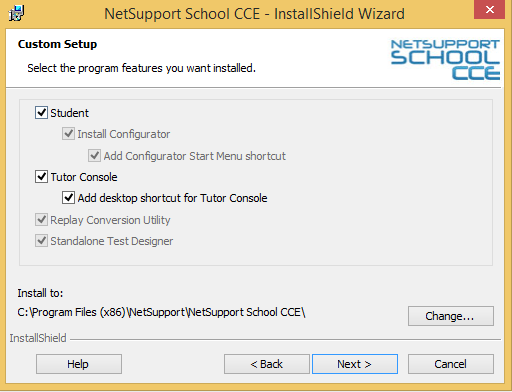 Start the Student Configurator – Start – Programs – NetSupport School CCE – NetSupport School CCE Student Configurator. 2. Select the Terminal Services tab. 3. In the Student Name field enter %Username%. Congratulations, you have completed a basic installation of NetSupport School CCE in a vCloudPoint environment. 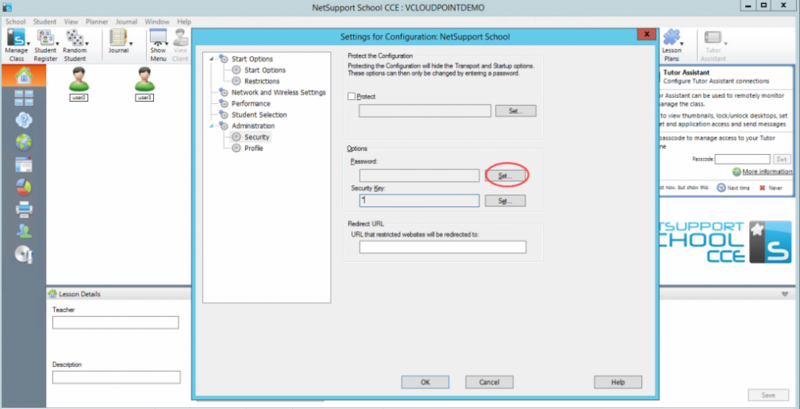 In NetSupport School CCE 9.00 and above the location of where the Tutor Configuration is stored in the registry was changed. This change was made for Environments where Users would not have rights to write to the Local Machine, but would have rights to write to their logged on users Profile. From NetSupport School CCE 9.02.003 and above a registry setting has been added that can be set to revert NetSupport School CCE to write to the HKEY_LOCAL_MACHINE rather than to HKEY_CURRENT_USER. Reverting the Tutor to write its configuration to the local machine will ensure that the same configuration is then applied to any user that logs onto this machine. Once the same configuration is applied to all users logging onto the Server you can then apply a password to the Tutor Console following the steps below, this password can then be provided to the Teacher(s) providing them with access to the Tutor Console but the Student will no longer be able to start the Tutor Console as this will prompt them for a password that they will not know. 6. Click OK to apply the configuration. When the above policy is enabled and applied to a group of users when the Users logon if they attempt to run the Tutor Console it will advise them that they do not have access to this. Type the name you want to add in the Enter the object names to select (examples): box. Notes: By default, the Remote Desktop Users group is not populated. You must decide which users and groups should have permission to log on remotely, and then manually add them to the group. There are many ways to restrict remote desktop users from running specific windows programs. Using paid third-party software or applications is the simplest way. Administrators can also achieve by using Windows Group Policy or editing the registry. Belows are two methods quoted from https://support.microsoft.com/en-us/kb/323525, using Administrative Templates in Group Policy and editing the Registry. 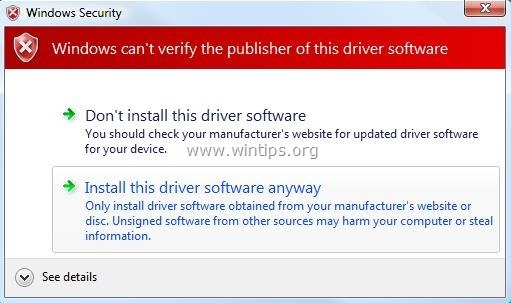 Alternatively, you can use Software Restriction Policy or App Locker under Application Control Policy in Group Policy. To use Group Policy Object Editor to restrict users from running specific Windows programs, use the procedure that is described in the section that is appropriate to your situation. Expand User Configuration, expand Administrative Templates, and then expand System. 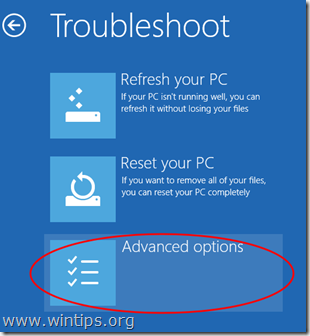 In the right pane, double-click Don’t run specified Windows applications. Click Enabled, and then click Show. 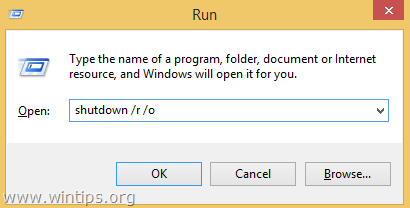 Click Add, and then type the executable file name of the program that you want to restrict users from running. For example, type iexplore.exe. Click OK, click OK, and then click OK.NOTE: If domain-level policy settings are defined, they may override this local policy setting. Quit Group Policy Object Editor. Right-click your domain, and then click Properties. In the Group Policy Object Links box, click the group policy to which you want to apply this setting. For example, click Default Domain Policy. Quit Group Policy Object Editor, and then click OK.NOTE: Group Policy changes are not immediately enforced. For more information, see the Troubleshooting section. Important This section, method, or task contains steps that tell you how to modify the registry. However, serious problems might occur if you modify the registry incorrectly. Therefore, make sure that you follow these steps carefully. For added protection, back up the registry before you modify it. Then, you can restore the registry if a problem occurs. For more information about how to back up and restore the registry, click the following article number to view the article in the Microsoft Knowledge Base: 322756 How to back up and restore the registry in Window. Type secedit /refreshpolicy user_policy /enforce, and then press ENTER. Type secedit /refreshpolicy machine_policy /enforce, and then press ENTER. Type exit, and then press ENTER to quit the command prompt. 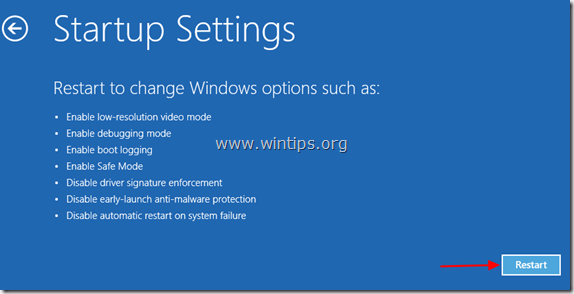 Tip: How to prevent users from shutting down the host on Window 7 or XP? 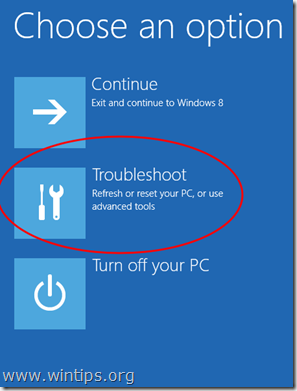 On Windows 8 or later systems, remote desktop users are not able to shutdown the host. 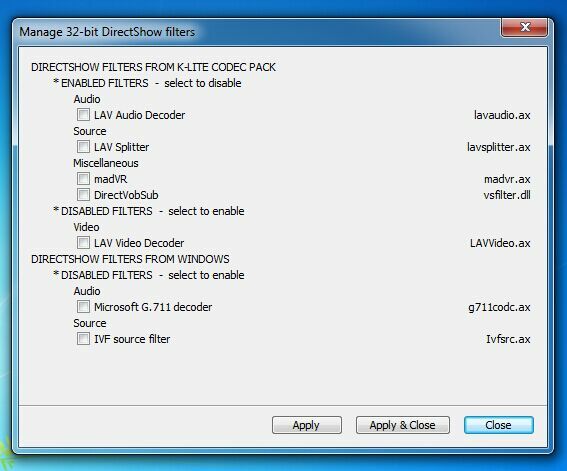 But for Windows 7 and realier systems, the shot shutdow option is available to remote desktop users. 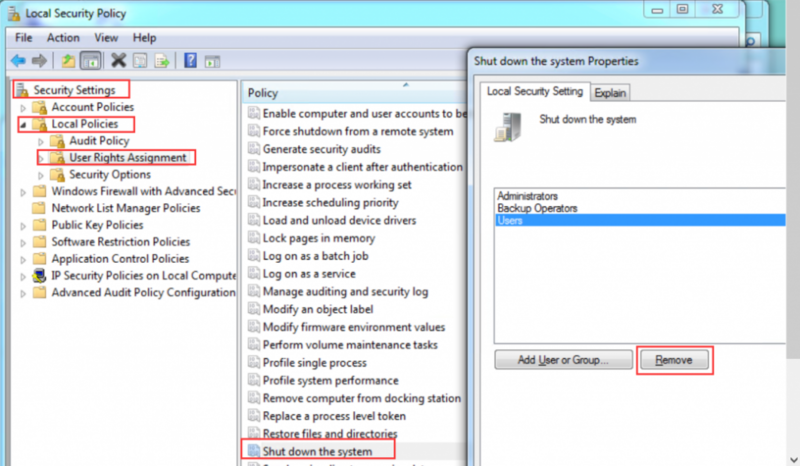 Below is the guide to preventing zero clients users from shutting down the host. delete users or groups that are not allow to shutdown host. How to Restrict Users from Running Specific Applications? In Shared Computing, application installation must be done by the administrator. Normally applications will be installed under program files and be run by all terminal uses. In some implementations, certain applications installed on the shared host are not supposed to be run by some terminal users. In this case, the admin will be asked to figure out a way to restrict users from running specific applications in the shared environment. 1. Applications to be run by admins only. When using vCloudPoint Shared Computing solution with vMatrix Server Manager, if the admin does not want an application to be used by any terminal user, he simply installs the application in a disk partition that is configured invisible to terminal users, e.g. E: drive. Storage visibility can be configured at vMatrix Server Manager -> Configurations -> Storage Visibility. 2. Applications to be run by a specific user only. If an application is supposed to be run by a specific user, e.g. an accountant application by the accountant, during installation, the admin can change the installation path to the user’s personal folder in the system drive, i.e. C:\Users\(name of this user). The subfolders under the “Users” folder in C drive is named by the usernames and the files inside are only accessible to their owners (and admins). If an application is supposed to be used by specific users or groups, the admin can use the AppLocker Group policy to restrict other users from running the application. Click User Account -> Click Change User Account Control Settings-> Adjust the level to the third level or the highest level and click OK-> AC settings are completed; restart the host. 2) Before setting up AppLocker, please standardize the program installation path, be sure to install the required programs in C: \ Program Files or C: \ Program Files (x86) path. As Program Files folder is a kind of system file, which requires the administrator permission to make changes.